More and more employers are willing to hire people with felony convictions. The chances of landing a job if you have a criminal record depend on more than just the employer’s attitudes, though. Since hiring laws vary across the country, it’s easier for people with a criminal record to get a job in some states than others. So which states make it easiest for ex-felons to gain employment? What makes these states so felony-friendly? They only let employers search the past 7 years of a candidate’s criminal history. This gives people who have paid for their crimes a fair second chance. It’s important to note an exception to the 7-year rule: salary caps. Most of these states have a salary cap on their 7-year limit. That means if a candidate would make over a certain amount of money in the position they’ve applied for, the 7-year limit no longer applies. You’ll notice the limit for most states is $20,000. Even in those states with some protections that help former felons get back to work, applicants are only protected by the 7-year limit when applying to low-paying jobs. 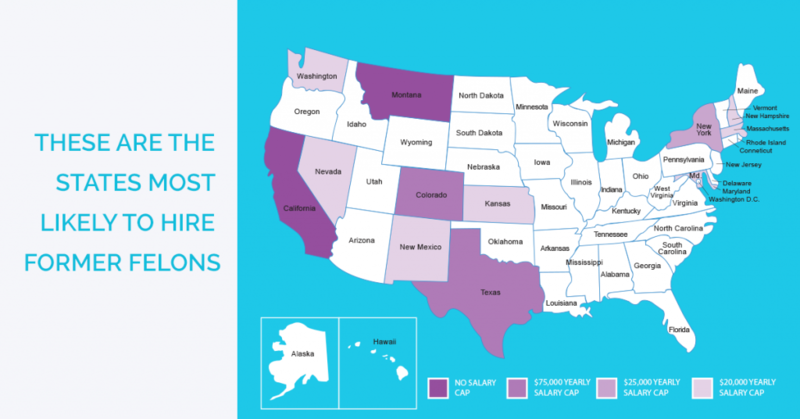 The only states with no salary cap — meaning employers aren’t allowed to search back more than 7 years in any candidate’s criminal history, no matter how much the job pays — are California and Montana. Why Are More Employers Hiring People with Felony Convictions? A combination of new laws, low unemployment rates and changing attitudes are resulting in more employers choosing to hire employees with past felony convictions. While many cities and states have implemented their own new regulations to help get more people with criminal records back to work, one popular change has been the move to “Ban the Box.” “Ban the Box” initiatives prohibit employers from asking candidates if they’ve been convicted of a crime during the application process. It’s important to remember this doesn’t prohibit background checks that would find a candidate’s felony record. 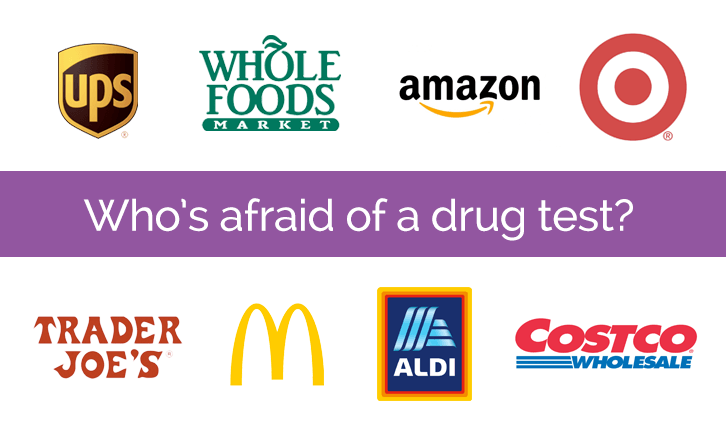 What it does do is only allow employers to run the background check if they are going to make a job offer. Did you know employers can often get financial benefits for hiring people with felony records? For example, the U.S. Department of Labor’s Work Opportunity Tax Credit offers salary reimbursements and tax credits that can offset an ex-offender’s wages by up to $2,400. You also may find your new employee is more loyal than your other employees. Since people with criminal histories have a much tougher time finding employment, they’re more likely to work hard to keep a job when they land one. In fact, one study found that ex-offenders had a 13% lower turnover rate than employees without criminal records. Regardless of whether you’ve decided to hire candidates with criminal records, you’ll want to keep up with the ever-changing hiring regulations that may impact who and how you hire.